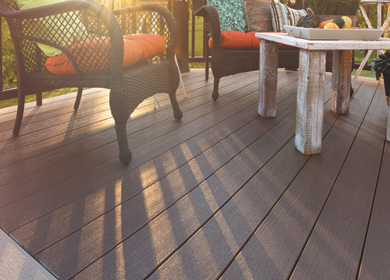 What is the best decking on the market? If you’re trying to find the best decking material that money can buy, there’s a very strong argument to be made for composite wood. Everyone will have their own opinion, of course, but the facts suggest that composite deck boards really do offer the best of all words. Read on to find out why composite wood – particularly TimberTech’s composite wood – is the best decking material on the market. Alternatively, click here to order a free sample and experience the quality for yourself! A good garden deck should be able to stand up to the elements, but sadly, softwood decking tends to warp and weather when it’s been outside for too long. Our composite deck boards have no such issues; their sturdy, hard-wearing construction is designed to handle even the most adverse weather conditions. And of course, ours wouldn’t be the best decking were it not extremely warp-resistant and robust; even freezing cold temperatures won’t crack your deck! It’s no secret that composite wood is slightly more expensive than traditional decking products. But don’t get too hung up on this initial expense – have you considered how much it might cost to replace a cheap deck when it gives up on you? Good-quality composite deck boards never need replacing; the price tag may be high, but this will be a one-time purchase that you won’t find yourself paying for in the future. If thoughts of fiddly fixings and tedious maintenance work have put you off the idea of adding a deck to your property, it’s high time you reconsidered. Fitting a TimberTech deck is a piece of cake, and if you don’t want to tackle the job yourself, our professional deck installers will be more than happy to do it for you. 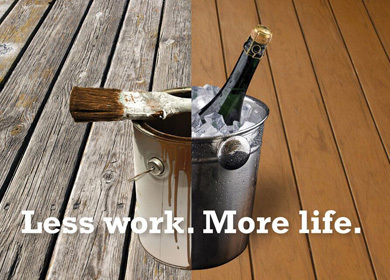 Moreover, once your deck is set up, you’ll find that its maintenance requirements are very minimal indeed – like all the best composite wood products, TimberTech boards never need staining or sealing, and the occasional jet wash will keep your deck looking beautiful for decades! Another factor to consider when you’re seeking out the best decking material for your garden is safety. 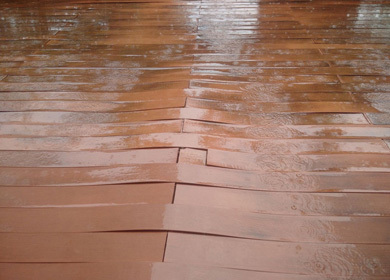 We see quite a lot of bad weather here in Britain, and wet/icy decks can be very slippery and hazardous. No decking product can claim to be completely non-slip, but TimberTech decking is more slip-resistant than other products, greatly reducing the risk of a nasty fall. If you’re still not convinced that composite wood makes the best decking, why not voice your concerns to us? Call TimberTech today on 029 2080 3756, or email us at info@timbertechuk.co.uk. Either way, we’ll soon convince you that our products are the best on the market!